Match Presentations this Saturday Night at Edwardstown Bowls Club from 6:30pm onwards. Please make the effort to attend and support your Club. All Players are expected to attend. Wives, Girlfriends and Family welcome as always. Firstly I need to apologise to all members, after telling everyone last week about the Tradition of After Match Presentation at South Road, I was unable to attend the first one of the season. However that will be the only one I will miss hopefully. While the results may not have gone our way this round apart from the Thirds, Congratulations to Luke and the boys, I have seen some encouraging signs both at games and practice. We have a number of new players that I would like to welcome to the club, if I have not met you yet I will do my best to catch up. So with the new players and some regulars returning to our sides, this weeks selection of teams will hot up, which means competition for spots – always a good thing. Captains have asked me to remind players that training commences at 5.30pm sharp, please make every effort to be there on time so captains can allocate appropriate time for all batters and bowlers. If you can’t make practice by 5.30pm because of employment etc. please let your Captain know. Subs and match payments are important to the running of our club, please ensure you become financial. It may be game by game or if paid in a lump sum prior to Christmas substantial savings can be made. Lastly the Club and all it members would like to congratulate Kristin and Matt Potts on the birth of their first child, Benjamin Thomas Potts born on the 5th of October. Well done guys, enjoy parenthood. If you have something you would like the club to know, something that has happened in a game, or just something funny relating to a member and providing it is in good taste I will get out on this blog which I hope to do after each match. Match Presentations this Saturday Night at Edwardstown Bowls Club. 6pm onwards in the Lounge Area. All Players are expected to attend. Wives, Girlfriends and Family always welcome. 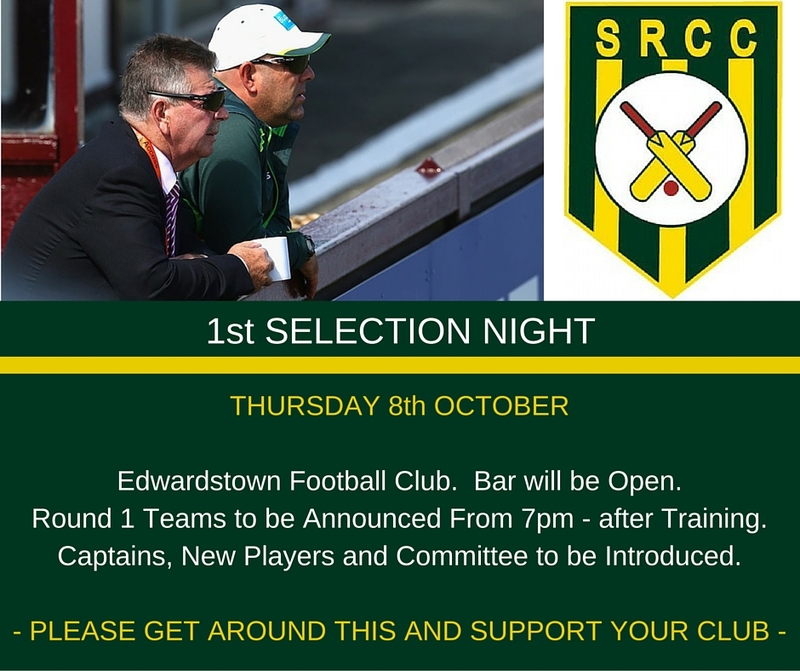 Lets bring home 4 wins and celebrate with your Clubmates, continuing the South Road Tradition. Great to see the season is under-way, not without some issues at the selection table on Thursday night, requiring me to front up in the thirds and field (my body is not happy with that). A mixed bag of results so far the 1’s made 181 and Plympton 0/40, need quick wickets there. 2nd’s made 146, Coromandel 1/60 need quick wickets also. 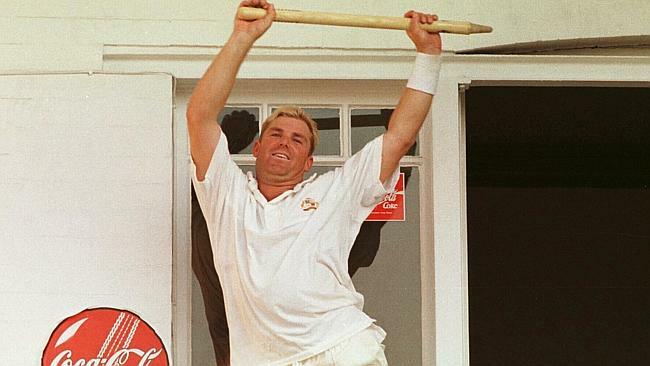 3rd’s rolled Warradale for 163 and in reply are 2/65 less than hundred required, bat all day next week. 4th’s made 192 and Port Noarlunga yet to bat, well done Roger and your guys. Remember your match fees can be paid to your respective Captains. Match presentations next Saturday night will be either at Edwardstown Football Club or Edwardstown Bowls Club. Stayed tuned. It is important that we all get around the after match Presentations on Saturday Nights even if it only for an hour. It is part of the tradition of playing cricket with South Road. If you haven’t been able to make it to Pre-Season Training but are available for the 1st Game please contact one of the following captains asap. A Grade – Matt Potts (0422 692 956). B Grade – Jason Norrish (0449 557 141). C Grade – Luke Slattery (0423 517 756). D Grade – Roger Nunn (0423 166 819). A’s vs Plympton @ Plympton. B’s vs Coromandel @ Edwardstown. C’s vs Warradale @ Pasadena HS. D’s vs Pt Noarlunga @ Pt Noarlunga.